QC Games is shutting down, and taking its action-RPG Breach down along with it. QC Games, the developer of Breach, is closing down, along with the action-RPG itself. QC Games took to its official Breach blog today with the news, thanking the community for being a part of both the Technical Alpha and Early Access stages of the game, but noting that the studio and the game will be closing down, with today being the "last official day" for QC Games. "Unfortunately, today is the last official day for QC Games, as we begin winding down internal operations on Breach. 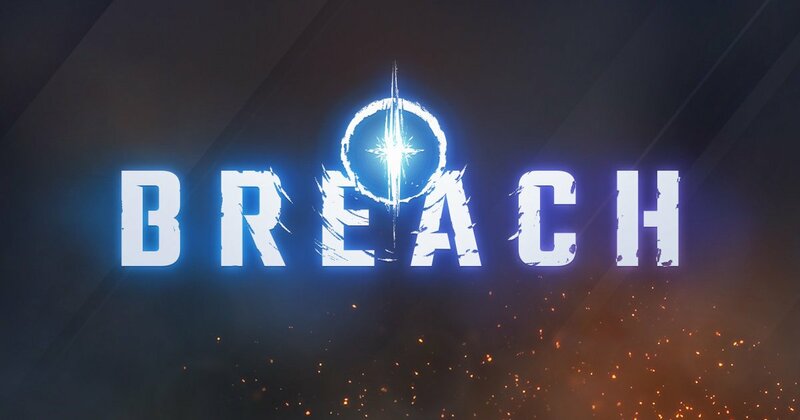 We’re sure you have a lot of questions about Breach, your accounts, and the future of the game. Our team is still working on defining what this means for Breach and for our community, and we’ll post an updated article soon with answers to as many questions as we can cover," the statement reads. For now, the game's servers will remain online, though the ability to buy the Breach Starter Pack or in-game QC Points will be turned off on April 4 during a brief maintenance period, while the severs will be offline. The game will be brought back online after that, and the company will work to provide more information on this shutdown soon. Breach is a co-op action RPG with a 4v1 element. You fight through short, 15-minute dungeons where you fight against other players and a "Veil Demon," which acts as something of a dungeon master. It's all about choosing to play the hero or villain, which plays a large role in the grander scheme of things. It seemed as though it had a bright future, especially given recent developments and PR efforts. Shacknews just spoke to Dallas Dickinson of QC Games about Breach during GDC 2019 only a month or so ago, and there was no indication that the studio would be closing down at that time, so the news definitely comes as a shock. There are more details coming soon, the QC Games farewell post notes, so we'll keep you updated as we learn more about the situation and what's prompted the studio's closure. Cloud Imperium Games: Austin is still hiring I believe. I'm honestly in shock. I just interviewed the CEO at GDC 2 weeks ago. Bummer, I dont know anything about the game but I hope everyone can find work soon. Making multiplayer games is rough, it's a cutthroat market. You're competing with some heavy hitters for players' time, and if they don't bite then your game is nothing. There is no middle ground, either you find a healthy playerbase or you're dead. They were using iesnare, which apparently has some pretty big privacy issues. I got it from a buddy and it wouldn't even let me create an account without turning off my ad blockers, which is how I found out about it.